The meeting was called to order by Alice Whitaker. The minutes of the previous meeting were approved as written with clarification of remaining quilts addressed below. The Treasurer’s report was distributed showing January and February deposits and withdrawals. It indicates a balance of $16, 395.54. Membership: Marion Newell reported there were 127 members as of now. There was discussion regarding a possible “emeritus” status for long-time members who are not able to attend meetings but want to keep up with the guild. It was decided that this would require a change in the bylaws and that access to the website allows adequate information. Remind members at the March meeting that dues are due. Hospitality: Laura Anderson reported that they will post members outside the doors to facilitate. Remember the church asks for no red drinks to be served. Charity: Diane Dimpfl reported that they have 40 quilts left from the Christmas distribution. There was discussion regarding access to the materials in the storage room. They are to be used for guild projects only. Children’s fabrics can be used for pillow cases and dresses for Africa. No personal projects such a BOM. A sign will be posted to this effect. – Laura reported that the Damar representative is still asking about speaking to the guild. It was decided that this could be done at the Christmas meeting. Alice reported that 75 dresses were donated to a group going on mission. Steals and Deals: Carlene reported that the Tag Sale date is set for April 27. The room will cost $50. They hope to be able to set-up a day earlier, otherwise will set up at 8 and open 9-1. The committee will be sorting and pricing a few weeks before. There was discussion about what to do with the unsold items. In the past we have donated to the Women’s Prison. There also may be some re-craft stores who would be willing to accept. Sunshine: The prayer chain will be starting. BOM: The committee has the year lined up. There was discussion to avoid patterns that have copyrights and stay with free patterns. Newsletter: Lissa reported that the deadline has really helped. She will include tag sale information in the next newsletter. Bus Trip/Retreat: Becky reported that they are arranging dates for the proposed bus trip to Grand Rapids in August. They will require a pre-signup to insure that there are enough people to pay for the trip. Programs: April Sterling reported that only November is currently open for a program. They still have some contracts that are not signed. The goal is to have 8 non-member workshops a year. The current workshops are filling in well. Only 3 spots left in the landscapes and 6 left in the stash workshop. Other guilds will be contacted if any spaces left. -The insurance on the quilts has been paid. There was discussion as to who has access to the room. It is primarily hospital employees with badges. – The Meet and Greet at Diane’s went very well with good attendance. 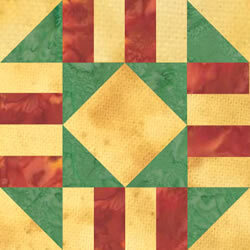 – Additional guild flyers have been ordered and will be taken to area quilt shops. – The first UFO at the library went well with about 17 attending. -Show and Tell needs to have some control over the length of the story time. People need to be selected to fold and hold—probably 2 each. Feedback on layout of the quilts on the chairs was positive. At the April meeting there will be no show and tell because of the program. – The requested charity quilts for the nursing home has been taken care of. -Sewing Bee on the first Monday was suggested, as it is our only Monday open. – We will try a handout at the door to try to streamline announcements. – A welcome packet for new members was discussed. Next Board meeting: May 3 at 1:30 at Alice Whitaker’s home.